I usually don’t pay much attention to celebrities and what they have going on. 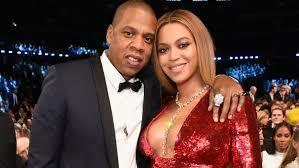 However, I must say that lately I’ve found interest in Jay z. The reason is not the fact that he is noted as one of the greatest MC’s of all time. Oh, and nevermind the fact that he is one of the richest and smartest, street turned businessmen in the industry. None of the above are the reasons the Jigga man is my favorite person right now. The reason is, I simply love the tone he is setting for the culture, especially men. I am inspired by his honesty, vulnerability, and maturity. Ever since the release of his latest album, 4:44, it feels like Jay Z has reintroduced himself to the world. 4:44 is without a shadow of a doubt his most personable album to date. Anyone who has followed his career knows that while he is always quick to give us “that sauce” in his music, he has never really been one to speak about his personal life, or at least not in such a direct manner. 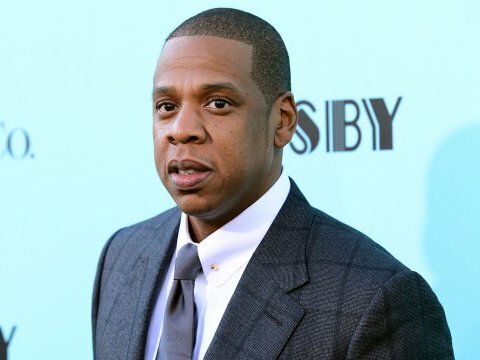 In his most recent interview with the New York Times’ executive editor Dean Baquet, Jay z opened up about going to therapy and how it has helped him to heal and grow. He also talked about one of the hardest times he and Beyonce faced in their marriage and how they have healed from that time. Jay z dropped many gems in that interview. The part that really caught my attention was when he talked about how hurting and trying to cover it up is what led to him ultimately shutting down emotionally in relationships, especially with the ladies. He went on to say, “You go into survival mode and when you do, what happens? You shut down all emotionally, so you cannot connect.” This stood out to me because this exact behavior is taking place now more than ever in relationships. We live in a society that is heavily induced with the spirit of “unbothered.” It’s almost like people are competing to see who can seem the most unattached. People hide their feelings and try to disconnect from them. The trend among people today is to block people who piss them off/ get on their nerves, cut a person off as soon as they do or say something that they don’t like, and show no signs of giving a f***. So many people suffer from the illusion that if they do all of the above, they win. Beautiful people, I have come to let you know….this couldn’t be further from the truth. At some point in life, it takes a REAL GROWN UP to realize that the whole “I don’t give a f***” attitude will not get you far in relationships with people. In fact, it will stunt your growth. It’s the typical defense mechanism that people conform to with a false sense of security that adopting this attitude will keep them from getting hurt. This is why there are so many friends with benefits situations. People want to enjoy the pleasure of sleeping with one another without any attachments and commitments. It’s all good until the situation gets real. Once it gets real between two people, it becomes uncomfortable. At that point, people no longer want to be bothered with one another. The reality is, hurt and pain births growth. Many hide their real feelings out of pride or flat out immaturity. If you have people around you who you feel you can never be honest about something that you didn’t like for fear that you will be seen as the lesser or the weaker, you might want to get new people in your life, because you are not allowing yourself the opportunity to grow. How the hell can you build or have any longevity with anyone if all you know how to do is cut someone off? If cutting people off is what you do best, you might need to grow up a little before you consider marriage. Because, honestly, you won’t last in a marriage with that mentality. You cannot build anything with anybody if you are always cutting people off or acting disconnected. Relationships/marriages require WORK. It’s not a fairy tale. So, understand there will be times when you will feel uncomfortable. Let’s stop admiring and aspiring to be like these celebrity couples just because we see them dressed up and smiling pretty for the cameras, knowing nothing about their struggles. If we are going to admire a couple, let’s do so for reasons that are not superficial. Let’s admire them because we know they have had their ups and downs, but through it all they managed to stay together.